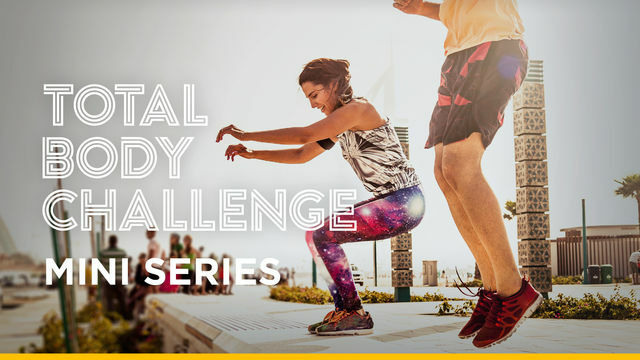 This mini series is a 5 day total body challenge! Can you commit to 5 days? Can you commit to less than 15 min a day? This program hits every muscle group throughout the week. It starts with a 3 minute workout on day 1, with the workout duration increasing by 3 minutes each day. In addition to adding time to each workout, an additional muscle group gets added to the workout, so by the end of the week you are working your total body. There are no rest days, because your goal is to develop consistency and get in a daily workout routine. What better way to jump start a new workout routine than with a fun self-challenge? Commit to this total body challenge now, and you will thank yourself later!